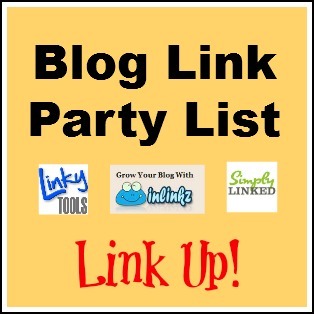 When I started this list on my old blog 8 or 9 years ago, I began with 75 listed items – nearly all cheap or free. Hubby and I thought about what we do in the area and listed those. The following year, I called my uncle (who is a volunteer tour guide at the Historical Society), and he gave me additional many more items. I had asked my father and grandfather for some ideas too, and I ended up with well over 100 things to do in (mostly) Buffalo. A few years later I asked my brother and his fiancée for more additions, and between their advice, my nieces and Sonny-boy, I was soon over 150 pretty inexpensive things to do in Buffalo, Niagara Falls, and Western New York. And last year this list crossed the 200 things to do in Buffalo and Niagara Falls threshold. My eventual goal is 365 things to do in Buffalo and Niagara Falls. 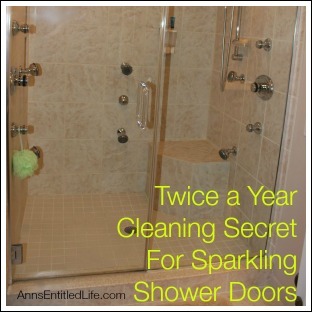 Something to do every day of the year. You see, even though the area has a lousy winter reputation (and the best summer weather reputation in the continental US), the truth is there are many winter activities available in Western New York. From skiing to skating to snowmobiling and ice biking (yes, that is a real thing! ), Western New York has a lot of things to do in the winter months, as well as summer months. And some people live for winter activities! New York State is mostly rural. While many people think of it as a concrete jungle due to NYC, the truth is New York State is mostly farmland, forests, and waterways. While there are a plethora of indoor activities, New York State shines in the outdoor hiking, boating and sportsman areas. I have tried to mix up this list adding more activities for adults as well as the family-friendly activities this list has in abundance. From state parks to museums, to architecture and zoos, there is a lot to do in Niagara Falls, New York, Buffalo, New York, and all of the Western New York area! Planning a visit to Niagara Falls, Buffalo or Western New York? Live in Niagara Falls, Buffalo or Western New York and searching for something to do this weekend? be sure to check out this extensive lists of things to do in Niagara Falls, and Buffalo, New York. It is time for the 2017 edition of Things To Do In Buffalo and Niagara Falls with updated dates, new festivals, added landmarks, and more fun and attractions for the whole family to enjoy! If you are making a trip to Niagara Falls, don’t neglect the rest of Western New York. 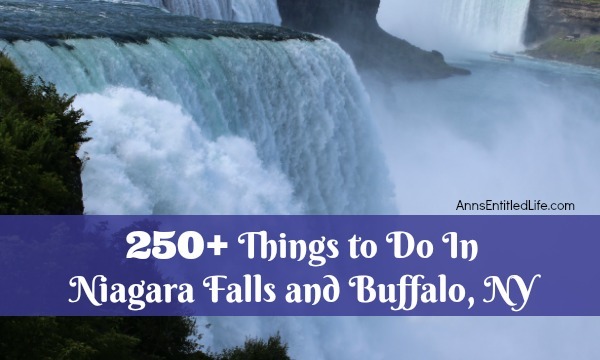 There is so much to do and see in this beautiful area, that this list of 250 Things To Do In Niagara Falls and Buffalo, NY is just the tip of those wonder places and space and activities. When people say “Buffalo”, they are usually referring to the eight counties of Western New York (Erie, Niagara, Genesee, Wyoming, Orleans, Chautauqua, Cattaraugus and Allegheny). There are so many things to do in Western New York that I cannot possibly list them all. I am once again concentrating on Erie and Niagara County, New York. At the end of this post, I do list some popular area attractions outside these two counties under “other” (and it is growing every year!). If you have anything you would like to see added to this list for Western New York attractions, please leave a comment and I will update the list! • Buffalo Architecture – known worldwide for its world class architecture, Buffalo is an architectophile’s dream from Frank Lloyd Wright’s Fontana Boathouse to his Darwin Martin House along with the Preservationist Tours offered of Buffalo’s City Hall (with its great observation deck), the Richardson-Olmsted Complex (the old psych center) to Millionaire Row on Delaware Ave, there are hundreds of turn of the 20th century buildings to be viewed in Buffalo in the surrounding areas. If you are interested, the Hotel at the Lafayette was restored a few years ago at a cost of over 40 million dollars. 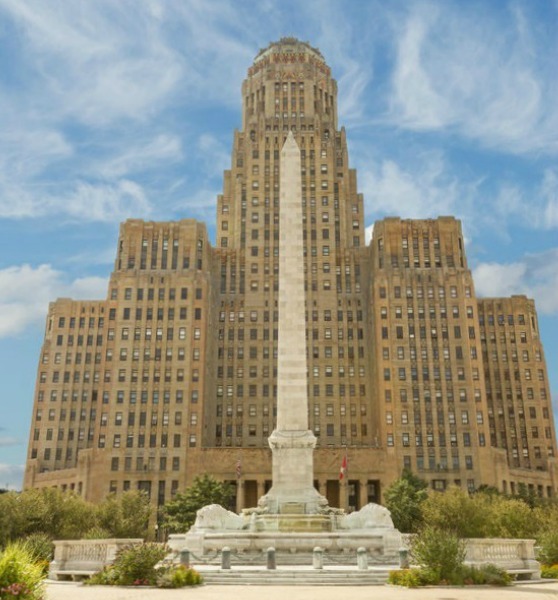 Buffalo Architecture is so outstanding, the National Preservation Conference was held in the city in October 2011 to rave reviews! This is an excellent list of architecturally significant buildings in Buffalo and those that give indoor tours. • Albright Knox Art Gallery – This is a world class modern art museum. 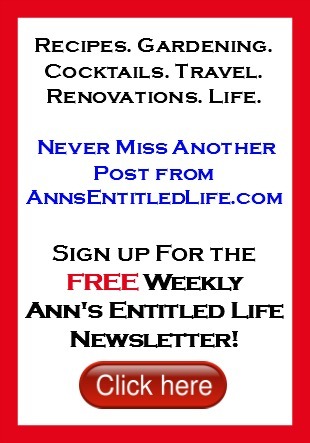 Click here for free admission dates and events. • The Barkyard – off-leash dog park located in LaSalle Park’s Off-Leash Area, Buffalo, NY. This is great for people with poochies who may live in condos or have small-ish backyards in the city. 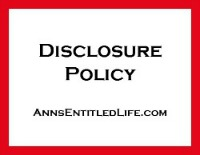 Be sure to read and follow the rules. • Big Ditch Brewing Co – they do give tours. Contact the brewing company for times. • The Broadway Market – established in 1888 on Buffalo’s East Side, the Broadway Market is jammed full of people Easter and Christmas week. Whatever you do, I do not advise going on Good Friday. Did that once, never again… wow the crowds! • Buffalo Audubon Society Check out their calendar of events for organized activities for adults and for children. • Buffalo Bites Food Tours – three-hour guided a walking tour of the Elmwood Village where you will eat delicious samples from local eateries and explore the exquisite architecture, history and present-day vibrancy of this neighborhood. This delicious and memorable experience will entice you to come back to the Elmwood Village. 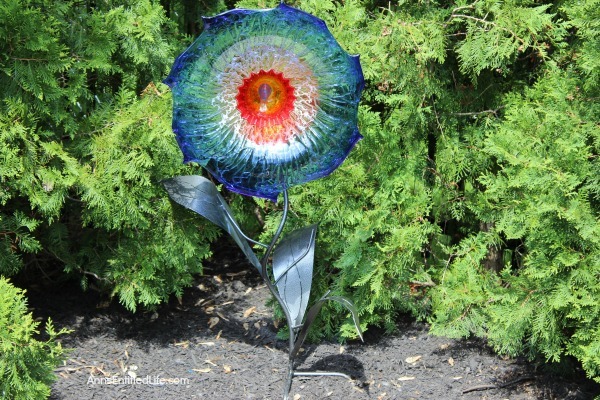 • Buffalo Botanical Gardens Check out their calendar of events for organized activities for adults and for children. • Buffalo Garden Walk – July 29 and 30, 2017, 10am-4pm – huh. Apparently, this has really “become something” and is considered by many in the Garden Tourism Industry as one of the top-walks in North America. I guess when you live in the area, you just take these things for granted. • Buffalo Museum of Science – a year round pass is the most economical way to see the Science Museum. Twice and it is paid for! • Buffalo Naval Park The USS Sullivans made my list as one of the Top 10 Family Friendly Spooky Places in New York State. • Buffalo Saturday Artisan Market Two Saturdays per month, May – October. Note: there is also a Artisan Market in the Winter Village at Canalside Thursday and Friday from 2-8pm, every Saturday from 11am – 5pm, and every Sunday from 12-6pm. • Buffalo Zoo – This is the third oldest zoo in the country. • Burchfield Penny Art Center – Across the street from the Albright Knox, it has really come into its own in recent years. – Artisan Market in the Winter Village at Canalside Thursday and Friday from 2:00-8:00, every Saturday from 11:00-5:00, and every Sunday from 12:00-6:00. • Central Terminal Tours – This is the old train station on the East Side. If you have never seen it, I urge you to take the opportunity and see what this Art Deco train station built just before the Depression began, looks like. My brother recently took the haunted tour and liked it (I am trying to get him to write it up for the blog). 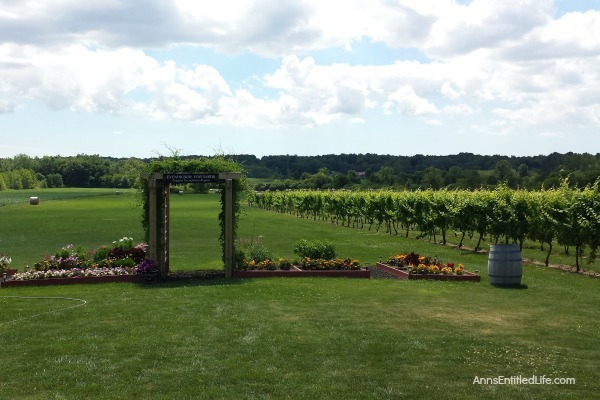 • Chateau Buffalo – wine tastings in Buffalo. This is in the Niagara-Frontier-Food-Terminal, across from the Clinton Market, so you will want to do some fruit and vegetable shopping while in the area. The Willowbrook-Farms store is a food service provider, but you do not need to own a restaurant to shop there. • The Colored Musicians Club – According to my uncle (who frequents the club), your best night to go is Sunday at 8 PM. The other bands listed are practice sessions. You go in the door on the far left. Ring the “door bell” buzzer and wait for the “click” then pull. Plenty of parking in the area. • Community Beer Works – Buffalo’s first nanobrewery. If you’d like a tour, here are the tour details. • E. M. Cotter – the oldest active fireboat in the world. Tours of the boat are by appointment only. • Explore Buffalo offers: Bus tours, Kayak tours, Bike tours, History courses, etc This is the Calendar of events. You can save money (if you plan on taking a lot of tours) with the explorer pass. • Frank Lloyd Wright Fontana Boathouse – Buffalo rowing boathouse on the Black Rock Canal. Photos are allowed inside and out. • Harbor Center – 100 Washington Street, Buffalo, NY. Open public skating and open hockey is open year round. There are a lot of tournamnts, College hockey teams, hockey leagues, NHL Combine, NHL Draft, NHL Coacing Clinics and more held at the Harbor Center. Times for open skates are listed here, or call the Harbor Center. • Ice Bikes – Combines the activity of riding a bike along with the ability to perform this feat while on the surface of the ice. Ice Bikes of Buffalo will give you a way to participate on the ice if you are not the best on ice skates. • Iron Island Museum Considered one of the Top 10 Spooky Places to Visit in New York State This is not considered kid friendly as there are confirmed sightings by Ghost Hunters, Ghost Lab, My Ghost Story, etc. In other words, it is haunted. • Karpeles Manuscript Library Museum – is the world’s largest private collection of original manuscripts and documents. There are 14 museums are located in 12 cities (Buffalo has 2 of the museums) 220 North Street, Buffalo, NY 14201 and 453 Porter Ave.
• Movies in the Meadow – Fridays in August, movies begin at dusk in Delaware Park behind the Parkside Lodge (84 Parkside Ave, Buffalo, NY 14214). • New Era Cap Flagship Store – seems like a weird addition to this list, buuuut New Era Cap is based in Buffalo, and the store has a decent amount of sports memorabilia if you are into looking at that sort of stuff. • North Buffalo Ice Rink – public skating daily, limited skate rental available. • Olmsted Park System Golf courses, running tracks, tennis courts, Japanese gardens, swing sets and more. You name it and the Olmsted Park system has it, including free Shakespeare in the Park performances beginning June 22, 2017 in Delaware Park (near the Marcy Casino). • Outer Harbor Concerts The easiest access is with a water taxi. • Parkside Garden and Architecture Tour June 25, 2017 10am to 4pm. The tour begins outside of the historic Church of the Good Shepherd, 96 Jewett Parkway. A full color map and the garden directory will be available for $5 on the day of the tour. A guided architectural tour is also available for $10/person. Tours depart at 9:30 AM and 10:30 AM from Hillside Children’s Center, 70 Jewett Parkway. • Pierce Arrow Museum My father and grandfather both raved about this place! Apparently, it is a showcase for old Pierce Arrows (duh) as well as early automotive inventions. • Pumping Station Pump House Tour – People come from all over the world for this one! • Resurgence Brewing Co. – They do offer brewery tours if booked in advance for a fee. • Richardson Olmsted Complex – join their mailing list for tour and date events. • Shea’s Performing Arts Center – this year’s events range from the Broadway musical Wicked to The Little Mermaid to The Lion King. • St Joseph Cathedral located at 50 Franklin Street, is currently the cathedral church of the Roman Catholic Diocese of Buffalo. • St Louis Church – 780 Main Street, Buffalo, NY 14202 My grandfather was buried from St Louis. My niece was just christened here. The photos online just do not do it justice. If you are on an architectural or religious tour of Buffalo, make certain to stop in. It is simply breathtaking. • Theodore Roosevelt Inaugural National Historic Site – aka the Wilcox Mansion. This is where Teddy Roosevelt was inaugurated after William McKinley was assassinated during the Pan American Exposition in 1901. Museum visits are by guided tour only. • Underground Railroad Tours – Trace the route black slaves used to make their way to freedom in Canada (remember if you plan on going into Canada you need a passport or enhanced driver’s license). Driving tour. • War of 1812 Tour – Trace the group action during the war of 1812. This includes US and Canadian destinations (remember if you plan on going into Canada you need a passport or enhanced driver’s license). Driving tour. • Allentown Art Festival – June 10th (10am – 6pm) and 11th, 2017, (10am – 6pm) – get there early, this one gets crowded! Here are some of my Allentown Art Festival finds! • Buffalo Lighthouse – One of the oldest structures on the Great Lakes, the 1833 Buffalo Light is a beautifully resilient monument to Buffalo’s maritime history. Cooperation between the city, the US Coast Guard, and the Buffalo Lighthouse Association, Lighthouse Point Park resulted in the tours of the lighthouse resuming. This is one I would check their Facebook page to find out new tours and events. • Queen City Ferry Company – Narrated Buffalo River History Tours are available daily from 10:30am-12pm for $14 adults and $10 for children. • Spirit of Buffalo – day and evening cruises on a classic 73 foot topsail schooner. • Chestnut Ridge Park – with the Eternal Flames Trail and Eternal Flame Falls. • Glen Park 5565 Main St, Williamsville, NY 14221 No pets (which is sad). This is a beautiful little park located on Main Street in Williamsville. • Kazoo Factory – I think this is something to encourage your school to plan a field trip rather than you taking a day with the kids. However, if you are passing by Eden, it is interesting. • Kelkenberg Farm – Clarence Center… they have had farm tours for a loooong time. Heck, I went with Sonny-boy’s kindergarten class over 20 years ago! • Knox Farm State Park – this is the former country estate of the Knox Family. 633 acres, Household pets only; on a leash, not more than 6 feet. • Made in the America Store – This is the only brick and mortar general merchandise store in the U.S. that sells exclusively 100% American made products. The story is interesting – the manufacturers need to send along certificates that all ingredients, components, the packaging, the glue for the boxes – everything to do with the product need to be made in the USA. This is my trip to the main Made in America Store. They now have more locations, including the Eastern Hills Mall, Galleria, Blvd Mall, McKinley Mall and one in Niagara Falls. • Maple Syrup Tours – there are 438 Maple Syrup producers listed on the NYS Maple Syrup website. Many bigger producers have tours. You really have to enter your zip code for what is in your area. Tree tapping is big business as well as hobby-business in NYS. Heck, the people who watch Max when we go on vacation tap their front trees, and they live about 5 miles from us!! • Sugar Shack – A working maple syrup production facility (sugar shack) and a working sawmill are also located here. These facilities are open to public tours and demonstrations when in season (free, permit required). • Vidler’s 5 and 10 – yeah I know it is a store but it is super cool… and besides East Aurora works really hard at quaint, and succeeds! • Williamsville Water Mill – no longer working, but it us on the backside of Glen Park. Sweet Jenny moved into the space, and that is worth the stop! 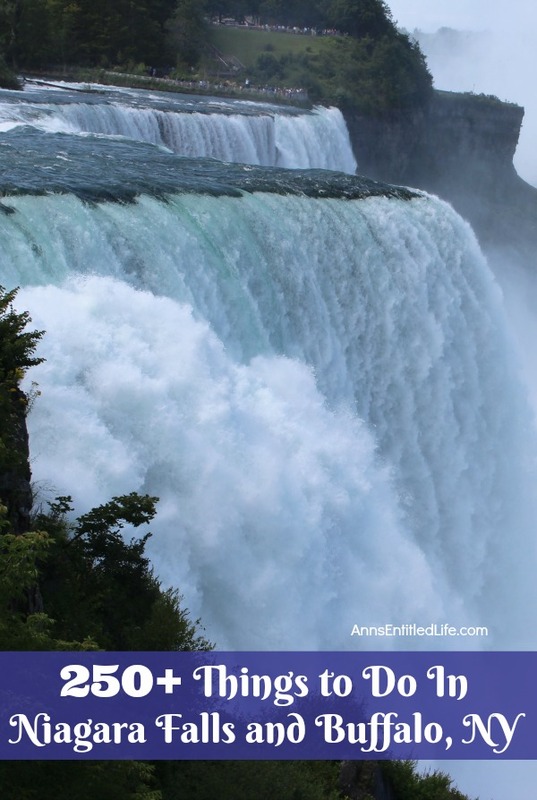 • The Falls – Ok raise your hand if the only time you go is when out of town company arrives! Take a day trip and see how truly majestic The Falls are, and stay for the night-time lighting. 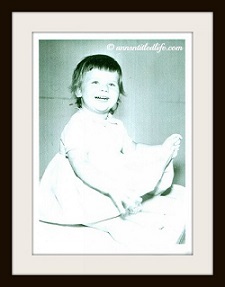 • If you have a passport or enhanced driver’s license something fun to do is walk across the Rainbow Bridge to Canada. I believe the cost is still $2. When you do, the flags denotes the border. Take your picture with one foot in the US, and the other foot in Canada. Sure it is touristy, but it is also kinda neat! • Cave of Winds – Prepare to be soaked! • Maid of the Mist – You must go at least once in your life! • Niagara Adventure Theater – You can click here for more information. • Niagara Falls Culinary Institute – cooking classes! When we took the class, there was a couple from Maryland there too. So, not that odd for an out-of-towner to do. • Click here for more Niagara Falls attractions. • Basilica of the National Shrine of our Lady of Fatima – 1023 Swann Rd, Lewiston, NY. My grandparents would go monthly. They thought the Basilica was beautiful. • Becker Farms – apple picking, hay rides, corn maze, wedding, and more. Becker Farms is no longer cheap, but it is an entertaining day for the entire family. 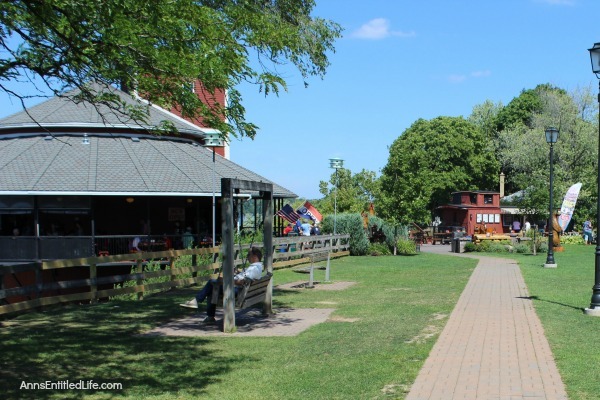 • Herschell Carrousel Factory Museum – 180 Thompson St. North Tonawanda. Open Wednesday through Sunday from Noon until 4PM. • Joseph Davis State Park – fields, fishing, ponds. Household pets only (6ft lease or in a crate), pets are not allowed in buildings. 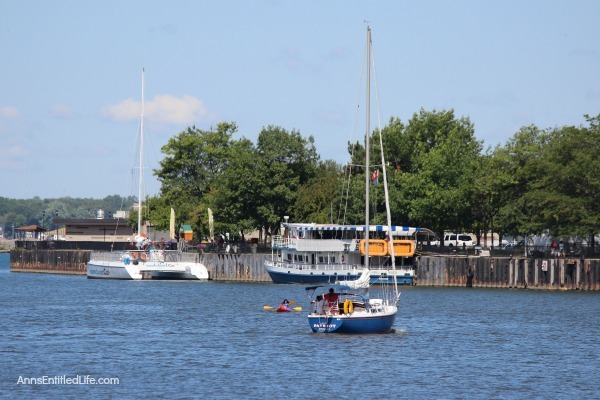 • Lockport & Erie Canal Tours – Warning, this really is a slow boat! • Lockport Cave & Underground Boat Ride They are now offering a zipline across the canal. • New York Beer Project 6933 Transit Road, Lockport, NY 14094 For “insider information:, visit their blog. 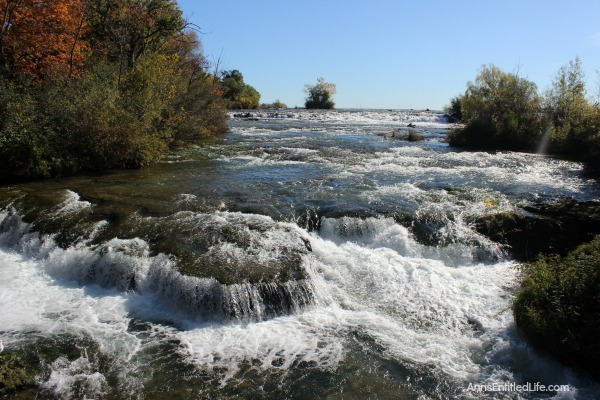 • Niagara River Fishing – my cousin came up a few years ago to salmon fish. Apparently, the lower Niagara River is BIG salmon fishing in the United States. Who knew!? Here is the lower Niagara River fishing access map. • Niagara County Snowmobile Clubs – join one of these and stop trying to cut through Hubby’s hunting land. Snowmobiling when it is a hunting season and there are “posted” signs in areas that are not your property, and cutting through fences so you can snowmobile, is just plain stupid. The snowmobile club up in Niagara County will definitely tell you where it is safe, and allowable, to snowmobile. – Freedom Run – try their Meritage wines! – Victoriabourg – is an estate winery (they grow and bottle their own grapes). On Friday evenings they have free movies in the vineyard. click here for the schedule. • New York Beer Project – Sonny-boy went when it first opened and was not that enthused – so Hubby and I have not gotten here yet. I will say it is always jammed packed with cars! They give weekend tours for $10 a head, 5 tastes of NYBP beers. • Old Fort Niagara – I’ve gone during the spring, summer and for the haunting in late October. Old Fort Niagara made my list as one of the Top 10 Family Friendly Spooky Places in New York State. • Reservoir State Park – part of the park is an overlook for the Robert Moses Power Plant Reservoir. Fishing allowed. • Transit Drive-in – with a bit over 300 drive-ins left in the United States, there are two in Western New York. The Transit Drive-in has five screens, is the largest drive-in theater in NYS, and is located at 6655 S Transit Rd, Lockport, NY 14094. The website recommends arriving an hour early due to lines. As someone who has driven by on a Friday and Saturday evening only to see the line to get in backed-up a mile or so, I agree with that recommendation! Sonny-boy still goes to the drive-in fairly frequently, and says the Transit Drive-in is still a great experience. • The second drive-in sill available in WNY is the Sunset Drive-in located at 9950 Telegraph Rd, Middleport, NY 14105. Three screens, operational since 1950! • Alabama Swamps now known as the Iroquois National Wildlife Refuge. Here are the swamp trail maps, and here they are in pdf form. • Allen Lake State Forest – the 2,421-acre Allen Lake State Forest features a 58-acre Allen Lake, hiking trails, camping, fishing, boating, and more! • Allenberg Bog – also known as Waterman’s Swamp, Congdon’s Pond, and Owlenburg Bog located on the border of Napoli and New Albion, New York in Cattaraugus County. 390 acres, includes two glacial kettle ponds with bogs, walking trails, and er, bogs. • Arcade & Attica Railroad – We went yearly when Sonny-boy was young – he absolutely loved it! • Beaver Meadow – 324-acre nature preserve in North Java, NY. • Bemus Point – Stowe Ferry – Traversing Chautauqua Lake for over 200 years, the Bemus Point – Stow Ferry is a slow, scenic way to cross the lake by car, motorcycle or on foot. 4-9 on Friday evenings, 1-9 Saturday & Sunday, 12-4 on holidays. • Darien Lake – There is an amusement park, concerts and camping. • Hanging Bog Wildlife Management Area – Hanging Bog WMA is located approximately 6 miles north of the Village of Cuba in Allegany County. The landscape is made up of rolling hills, extensive forests, and small fields. • Jell-O Gallery – the Jell-O Museum because Jello-O was invented here. 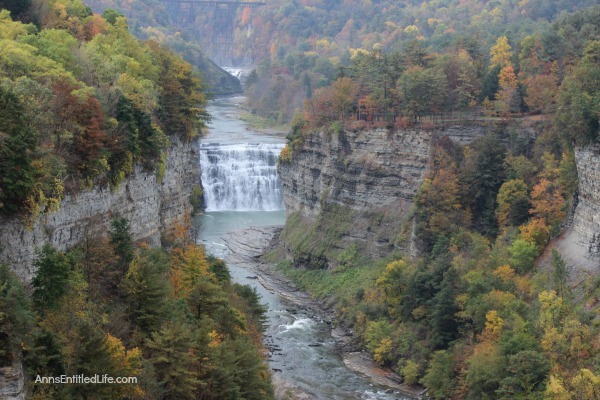 • Letchworth State Park – Absolutely beautiful. Here are my Letchworth State Park photographs. • Lily Dale – also make my list of Top 10 Spooky Places to Visit in New York State. • Lucy- Desi Museum – because Lucille Ball was born in Jamestown, NY. • Nannen Arboretum – trails, herb garden, nature gardens, Ryoanji Temple Stone Garden, and nature sanctuary. • Panama Rocks – A half-mile long ridge of 60-foot high rock forming crevices, passageways, and caves hidden in an ancient forest! • Seaway Trail – Here’s a map of how little or how much you can travel it. • Zoar Valley – If you are into hiking, this is a great place. • Buffalo Ski Club – members only. • Holiday Valley – they also have golf, mudslidding and ziplining outside of the winter season. • HoliMont – members only. North America’s largest private ski resort. • Peak n’ Peak – they also have golf and ziplining outside the winter season. • Snowshoeing Trails – this is all of NYS. Pick a town, it gives you a snowshoe trail. 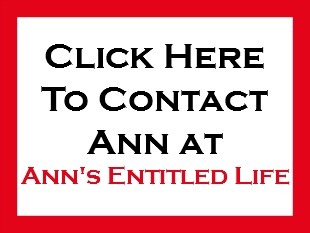 • For more New York State posts on Ann’s Entitled Life, click here.